Cultural, historical and academic relevance is the guiding principle of this online resource. While every manuscript included has its own entry and page, some manuscripts are relevant to more than one collection, theme or category. 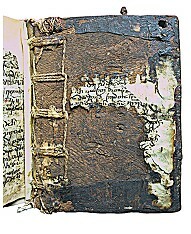 For this reason, some manuscripts may be included in more than one collection. However, the themes and categories in which the various manuscripts are grouped means they can be accessed regardless of the initial interest that brings a visitor to this site. Top: About the Schøyen Collection; its mission and activities; relevant publications; contributors; news and updates; help on using the site; and how to contact us. Horizontal: General access to the online collection, including forewords and other featured introductory texts. Right Sidebar: Search and detailed level-by-level access to the collection. On each manuscript page you can find all the details available at the time of the page being published. We attempt to keep the website in line with the most recent research, but cannot guarantee this. If you find anything that needs updating, please alert us to it giving us your scholarly source. Each manuscript has at least one image but many have more than one, in which case there will be a gallery of smaller images under a main image. Click the main image to enlarge it. If more than one image is available you can make any of the other images the main image by clicking on it. This will upsize and reposition the image. You can also simply click on the main image to view a large scale image gallery of all the images of that particular manuscript. You can scroll through enlarged images by hovering over an enlarged image to display the 'next' and 'previous' scroll arrows. Martin Schøyen and the Schøyen Collection hold the copyright to all the images. Image use requests should be directed to our Press Office.